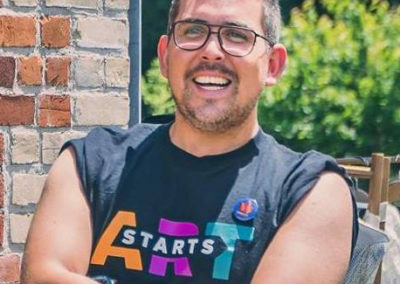 We’re proud to announce the addition of Art Starts founder Julian Carvajal to North York Arts’ programming committee! 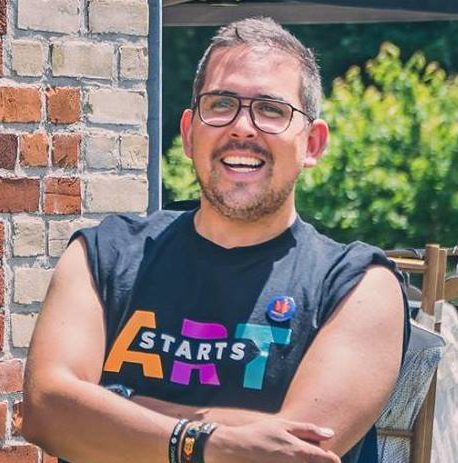 Julian has weaved a career in both non-profit and arts sectors culminating in his work with Art Starts Mentorship Hub, an initiative to support and encourage underrepresented communities in Toronto’s dynamic arts setting. A lifetime lover of the arts, Julian has strived to enrich himself through various artistic mediums, all while giving back to the community through his volunteer and charitable initiatives. As Art Starts’ Special Projects Manager, Julian brings a unique perspective and knowledgeability that will enable North York Arts’ continued success of engaging and cultivating the arts in local communities. We at NYA are excited to work with Julian going forward in 2019! Tell me about yourself: your career, appreciation for the arts, etc. I consider myself a colourful Colombo-Canadian Project Manager, Event Producer, Admin of the Arts, Media Artist & Curator. I was born in Santiago de Cali, Colombia, the reason why I am a Salsa lover! I studied in a special school 200% dedicated to the arts for eight years. I had the opportunity to study drama and write scripts for the performances at school. Drawing, sculpting, vocal technique, body appreciation, music appreciation, and ceramic, were part of my classes. I also learned to play some strings, wind, and percussion instruments as well as piano and many others. Now ask me how many can I play now!? I do not play any at all but all those learnings had made me the person I am today, an art lover and Art(ivist) who lives his life in a very passionate and multifaceted way. The only part that I kept and that many people do not know about me is poetry; I have been writing an anthology for the last 20 years with over 300 creations that I hope to share with others at some point of my life. What is Art Starts and what role does it play in Toronto’s artistic community? Art Starts is home for me, it has been my incubator for the last 4 years. We are an award-winning charitable, not-for-profit organization that uses the arts as a vehicle to inspire long-term social change in Toronto’s underserved neighbourhoods. We bring together professional artists with residents of all ages and collaborate with other community organizations to create community-building art projects in all artistic disciplines. At the Special Projects department, we run programs citywide and offer a wide range of mentorship opportunities and workshops for youth, newcomers and emerging artists across the city. We proudly are the co-founder of Platform A, a collection of Toronto’s leading community arts organizations that have come together to develop capacity and innovation in the community-engaged arts sector. First of all, I would like to tell you, I love North York Arts! I got introduce to NYA though Melissa back in 2016 and let me tell you, it is hard not to fall in love with her extraordinary spirit and willingness! After that, I met the rest of the team and they are doers who also create meaningful programs for the community in North York. I was very happy when invited to join the programming committee, for me, this is a great opportunity to continuing my purpose in life, being a bridge who connects people and supports platforms that provide artists with multiple opportunities for professional and personal growth. Having a voice in this committee is humbling but also a great responsibility to ensure we properly reflect the needs of the community sector in North York. As Special Projects Manager, we are always looking for ways to collaborate — the sky is the limit! North York Arts plays an important role in the community. They are a friendly organization who is really dedicated to creating strategic opportunities not only for artists but also community members. We are currently co-organizing Art Starts Satellite Workshops; we have been running a series of workshops for the creative sector for three consecutive years. In this opportunity, we wanted to take it to the next level and foster relationships with new audiences who might not be familiar with who we are and what we do. If cryptocurrency is the new trend, partnerships and collaborations are the ways to go now especially when the sector is experiencing funding cuts and some other challenges.